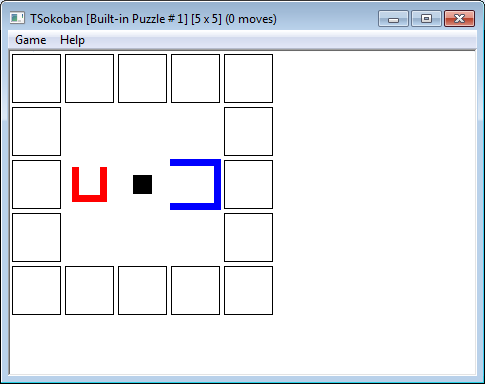 TSokoban is a Windows clone of a Sokoban variant called BoxUp. The BoxUp puzzle was invented and coded in Java Applet by Andrea Gilbert in 2003. TSokoban implements this game concept and is made available to the public with her kindly permission. Please visit her website ClickMazes for more information about BoxUp. The goal of the puzzle is to push all the red boxes into the blue ones. Use arrow keys to move the man. boxes: upper letters are used for target boxes, lower letters for ordinary boxes.